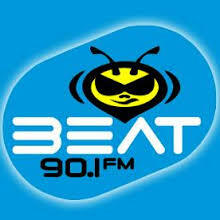 Beat 90.1 FM Monterrey en Vivo . Also Known as XHCHL FM is a dance Top 40 station that serves the Monterrey area. It offers a current based mix of dance music, with Top 40 and R&B remixes, along with electronica and house music. Address : Av. Cuauhtémoc 725 Nte., Col. Centro , Monterrey, N.L., C.P. 64000 , México .